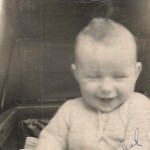 My wife was a persistent genealogist who tracked down ancestors with such common surnames as Smith, Robinson, Porter, and Dickinson. (Both her mother’s parents were unrelated Robinsons.) Rachel’s forebears were ordinary people, mostly farmers, all of them seemingly taking the route west. Rachel disliked my joke that they were trying to stay a step ahead of the law. One of her great-great-grandfathers, David Dickinson, covered the whole breadth of the country. Born in Connecticut, he moved first to Ohio, then to Iowa, briefly to Nebraska, and finally to California. Rachel Grace Smith was born on October 21, 1943 to Robert Harrison and Esther Irene Smith, natives of rural eastern Nebraska who, after the birth of their first child, broke the stereotype and moved east to the outskirts of Rockford, Illinois. During a particularly rocky period in the marriage, a childless aunt and uncle offered to adopt Rachel. She never could decide if they had been serious. “Bob” (as Rachel’s father insisted his children call him) was a carpenter who mostly did finishing work on cabinets and door frames. He was often unemployed during winter months and had his own woodworking tools, but he was still slow to finish up his own home. The family used an outhouse until Rachel was twelve, and Rachel and her sisters long slept in a cluttered attic, stifling in summer and bone-chillingly cold in winter. Rachel’s mother had graduated from high school, but as the oldest child in her birth family, she had felt obligated to care for her father and some of her siblings after the premature death of her mother from breast cancer. Yet despite constraints imposed by her own large family, Esther Smith enjoyed reading and exhibited considerable creativity in handcrafts such as knitting and crochet. She even bought a large loom and graphed her own designs for shawls and rugs. Rachel was the middle child of seven—boys at both ends, five girls between. Her oldest brother was seven years older, and the twins at the other end were seven years younger.1 Her parents provided the children with little physical and emotional affection, but they were not unloved. In any case, the children enjoyed each other’s company, climbing trees in summer and sledding down a perfect little hill in winter. A nearby farm had a pond where, depending on the season, the children could skate or chase tadpoles and crawdads—and be set upon by leeches. Most of the Smith children early displayed some sort of artistic bent. Rachel and her sister Althea played with character dolls and used grocery boxes to create houses, Velveeta boxes to serve as furniture, and scraps of fabric to make clothing. Rachel also amused herself with toy horses, drew pictures of horses, and read books about horses—Justin Morgan Had a Horse was a favorite. Her mother made her a broomstick horse with a Rockford sock head, buttons for eyes, and a crocheted mouth and nostrils. 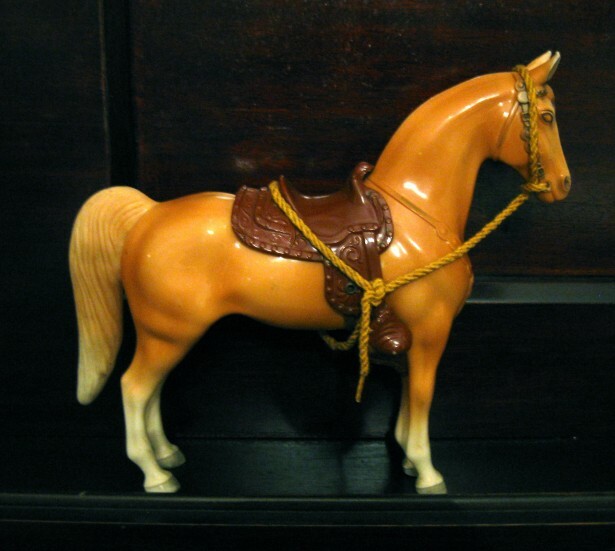 Rachel once saved her allowance to buy a plastic palomino, and more than a half-century later, she keenly recalled the moment when the clerk took it from the shelf and handed it to her. In a household of nine, the children did chores by necessity. The older children babysat younger ones. The girls took turns doing dishes, helped wash clothes and hung them out to dry. The children weeded the family vegetable garden and for a time helped care for chickens. In later life, Rachel was amused that she still enjoyed eating chicken despite having watched chickens beheaded and then having plucked the feathers herself. Even as a small child Rachel was unusually neat; and as a teenager, she sometimes locked her younger siblings out of the house to improve on their mother’s sketchy housekeeping. Rachel was a mediocre student in elementary school. She enjoyed English and science and was a whiz at spelling, but math sometimes exasperated her to tears. Her third grade teacher, Mildred Nelson, took a special interest and followed Rachel’s progress with congratulatory notes through college graduation. Rachel’s fourth-grade teacher raised her confidence by posting her watercolors on the classroom walls. The encouragement may have been life changing because although Rachel was imaginative, in childhood she was also painfully shy. In season and out, she wore sweaters to cover her arms, thinking them too thin. Even as an adult she rarely wore short sleeves. During high school, she became active in the youth group at Rockford’s Windsor Baptist Church. The pastor, Raymond Sissel, 2 encouraged her spiritual growth and urged her to attend Bible school or college. Rachel was baptized when she was a high school senior. That same year she had her first date, made all A’s in her classes, and was inducted into the National Honor Society. The church youth group became Rachel’s chief social outlet, in part because she felt more at home with fellow Christians, in part because the Smiths lived so far from Harlem High that she had to take the school bus home and was unable to participate in extracurricular activities. Finding part-time and summer work provided even greater challenges because the Rockford bus line did not extend to her neighborhood. Rachel did a bit of babysitting; and for a short time one summer, she rented a room at the home of a friend so that she could catch the bus downtown to work as a waitress and counter girl at Woolworth’s. Rachel had considered attending Moody Bible Institute, but David Friberg, a friend from the youth group and her first date, encouraged her to follow him to Bob Jones University in Greenville, South Carolina. Far from objecting to her selection of an unaccredited, staunchly fundamentalist institution, both her parents were pleased that she would be the first in the family to attend college anywhere. She also took out government loans, and a few anonymous gifts were made to her school account. She remembered being thankful if at the end of the month she had ten cents to spare, the price of an ice cream cone. 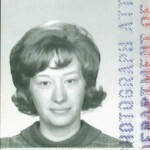 During the summer of 1966 her money did run out, and she was unable to return for the fall semester. 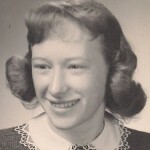 When Rachel first entered BJU in September 1963—a period of significant growth for the University—she had no difficulty adjusting to life with three or four roommates. It had been crowded at home. But because her roommates came from a variety of backgrounds, they were an education in themselves. Rachel made some good friends in the women’s dorms. Her dating experiences, however, were considerably less gratifying. Only once, for a few months, did she “go steady,” and that fellow took her high school ring and kept it for twenty years. Rachel entered BJU as an art major, but realizing she had less talent than some of her peers, she switched to English after a year. In 1968, she graduated with a degree in humanities. 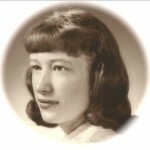 A handsome, young English teacher, Dale King, directed her toward a more disciplined approach to writing and stimulated her growing interest in English grammar and literature. In general, Rachel performed best in courses that emphasized written language and memorization, worst in physical education and speech classes—typical banes of shy people. Nevertheless, she grew more self-confident throughout her college years, even electing additional studio art courses. She also let her sibs know that she no longer wanted to be known by her family nickname, Snookie. Before graduation, several of her teachers urged her to apply for a teaching assistantship, which the still-expanding University was offering to graduates willing to study for an additional degree at BJU. Rachel spent two school years (1968-70) teaching freshman-level English courses while completing a second undergraduate degree in education. At one point she taught University English tutorials while concurrently doing her directed teaching at Bob Jones Academy under the guidance of the venerable Edith Markham. In the late 1960s, BJU teaching assistants were compensated with room and board and about fifty dollars a month. When in 1969 the University offered a reduced rate for seats on a plane chartered for a European study tour, Rachel and two other assistants somehow scraped up the necessary $250 round-trip fare and enough money for a three-week road trip in Europe. The driving tour was not only a long-remembered adventure but demonstrated how much confidence and adaptability Rachel had acquired since high school. In 1970, BJU offered her a job teaching sophomore English at the Academy. Rachel’s personal discipline allowed her to meet the challenge of these atypical high school students, many of them children of BJU faculty who were often both intellectually gifted and unusually clever in their attempts to derail the lesson plans of an inexperienced teacher. Rachel also developed strategies to deal with their parents, many of whom were teachers themselves, some her own former teachers. George introduced us when they returned to campus. I was fresh from finishing my master’s degree at the University of Cincinnati, newly hired to teach history at BJU during the 1971-72 school year. Rachel and I had graduated together in the BJU Class of 1968, but I didn’t remember her. She remembered me because one of her tall friends had been interested in me as a tall prospect. The two had occasionally spied on me at breakfast in the Dining Common, and laughed at my wearing the same shirts day after day. From her previous experience Rachel learned to be cautious about matters of the heart. Furthermore, fearing in 1969 that she might be approaching the upper limits of eligibility, she even sold a set of cookware to help finance the European trip. We dated several times that school year, and although she was attracted to me, I made it clear that I was in no hurry to marry. At 28, she was. We had quite a bit in common. Although my parents’ marriage was more stable than hers, I had, like her, paid my way through BJU—never spending money in the snack shop where I might have met her. During our first year of dating, neither of us owned a car. Fortunately we enjoyed simple pleasures like day hiking and attending free concerts. It didn’t hurt that I was an amateur musician. Although Rachel had no musical ability, she early grew to enjoy classical music. She said she was first attracted to me while watching me play the violin in the University orchestra. 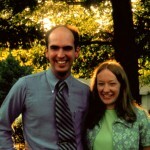 Most important, both of Rachel and I were content to have a ministry at BJU, a commitment that required being satisfied with small salaries, heavy teaching loads, and (at least in those days) a significant amount of quasi-communal living. By that time, Rachel had completed most of the course work for a master’s degree in English at Clemson University, which she began during the summer of 1972. During the 1973-74 school year, she attended full-time, living with a group of BJU alumnae, several of whom, like her, taught in Clemson’s freshman English program—another helpful teaching experience. By the time Rachel returned to Bob Jones, I had taken a leave of absence to work on my PhD at the University of Virginia, and for two years we wrote faithfully. Calling was too expensive. Rachel enjoyed planning the wedding, which she mostly paid for herself. Because we decided to marry on May 27, 1976, right after Commencement, we were able to share some expenses with other couples. To rent the magnificent War Memorial Chapel with its mural-size Benjamin West paintings cost only $90. 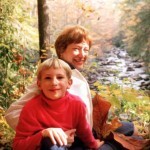 We spent our honeymoon at a cottage on Lake Santeetlah in far western North Carolina near Great Smoky Mountain National Park, the two weeks a gift from its owners who were friends of my family. We had no way of knowing that three years later the Thompsons would self-finance the sale of the cottage to us and that regular visits and rentals to the BJU family would become an integral part of our married life. By 1976 we each had a mid-‘60s car, a red VW Beetle and a Ford station wagon, but we had so few personal possessions that, except for a few stored wedding gifts, everything we owned we moved to Charlottesville in the two cars. Our garage apartment, once servant quarters, was in an upscale neighborhood within walking distance of the University of Virginia; but it was small. The kitchen was so narrow that an open refrigerator door blocked passage. The entire summer of 1976, America’s Bicentennial, became something of an extended honeymoon. That year Charlottesville, the home of Jefferson’s Monticello, was a popular tourist destination for friends and family (to whom we gave tours) and for dignitaries like President Gerald Ford and Queen Elizabeth (at whom we gawked). Eventually Rachel got a job as a secretary at the University of Virginia cardiology clinic, a major part of her responsibility being the transcription of patient updates made by cardiologists. At first she found the combination of medical jargon and mumbling doctors inscrutable, but as was typical, once determined to master a skill, she became remarkably competent. We walked to campus—there was nowhere to park anyway—and usually ate lunch together on the historic Lawn or, in inclement weather, in a building stairwell. Then came our first crisis as a couple. In November, Rachel discovered she was pregnant, unplanned of course. Yet once over the initial shock, she simply glowed through the remainder of the pregnancy. She had no morning sickness and continued to work—in fact, she felt better than ever. To the lifted eyebrows of the Charlottesville doctors, we decided to have our son, Austin Joel, delivered at BJU where, because I was on leave of absence, the University would pay the hospital costs. After our return to Virginia, I took a part-time job at a historic house while Rachel stayed home with Austin and transcribed, for the College of William and Mary, letters of an early nineteenth-century Episcopal bishop and his correspondents. Her previous experience reading English themes prepared her for deciphering nearly illegible scrawls. We returned to Bob Jones in August 1978, with enough possessions this time to require a rental truck. Our assigned housing, at the bottom of the campus food chain, was a basement apartment backed on a gas station and a six-lane highway and plagued by serious moisture problems.7 As was typical, Rachel made the best of both the housing and Austin’s frequent illnesses, the result of his first exposure to a nursery filled with a host of sniffling children. Meanwhile she taught two sections of British literature survey, a two-semester sophomore course. She enjoyed the first semester of that class—which began with Beowulf and reached the seventeenth century—more than any other of her career, in part because the authors, though not necessarily Christians, took matters of the spirit seriously. I was not as much help with Austin as I might have been, although I did have the excuse of working on my dissertation. At least I lent a hand during the summer of 1979, babysitting while Rachel completed her master’s thesis on the religious views of the New England local colorist Sarah Orne Jewett (1849-1909). She finished it just before her time limit for completing the Clemson degree ran out. 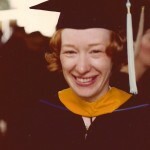 During the 1970s, BJU began hiring more faculty members with doctoral degrees, and the English chair warned Rachel that teachers without PhDs would soon be excluded from teaching upper-level courses. She considered going on for her doctorate, but the timing was wrong. 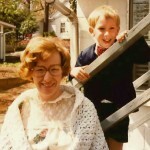 She would not have entertained the possibility of leaving Austin during his preschool years, and the nearest doctoral program in English was at the University of South Carolina, a hundred miles away. Rachel’s father died of cancer in 1983, her mother, likewise of cancer, in 1984. Rachel also had two brief pregnancies in the early ‘80s. She grieved the loss of those children, perhaps all the more so because she believed she could share her loss with only a few. Busy about my academic work, I was as insensitive as I was ever to be during our marriage, assuming that if we could manage an unplanned pregnancy, we could certainly manage a planned pregnancy. Rachel’s instincts were truer; there were to be no more. Rachel was well aware of her tendency toward melancholy, and she worked strenuously to suppress pessimistic thoughts, especially in the interest of being a good influence on Austin. In the ‘80s and early ‘90s, she took one studio art course after another: drawing, crafts, printmaking, landscape painting,8 sculpture. (She said that if she had had the talent, she would have liked to have been an illustrator of children’s books.) Rachel also took courses in American literature, medical transcription, and teaching English as a second language. She briefly (and unsuccessfully) tried piano lessons. She even once participated in a faculty/staff volleyball league, putting her heart into the games even though she had limited success getting her serves over the net. At home, she became proficient at sewing her own clothes while simultaneously complaining to the sewing machine about its behavior. This limited tolerance of mechanical devices extended to photocopiers and computers. She used them, but continued to be intimidated. “They sense fear, “ I told her. As she grew older, Rachel became increasingly creative in food preparation especially in the making of special breads and desserts—which as a health-conscious wife, she did not want me to eat. Her pies were almost always the first demolished at departmental get-togethers unless she made them too healthful. During the 1980s, our family rose through the BJU housing ladder until after two moves we received a nearly new “permanent” house—one with two bathrooms and no moisture problems. Rachel was not much interested in the Better-Homes-and-Gardens sort of interior decoration, but she took pride in keeping a neat home and was sometimes frustrated if she were unable to finish her regular housecleaning rounds on Thursdays. During the summers of the same decade she took various jobs on campus while I finished my dissertation and began working seasonally for the National Park Service (NPS). Several summers she worked at the University Press as a clerical assistant or a copy editor. In 1987 she pulled weeds for the grounds crew. Ever after, if she spotted an easy-to-pull weed somewhere on campus, she was likely to go after it, even in dress clothes. During 1990s, as Austin entered his teens, Rachel either worked at, or at least accompanied me to, summer jobs outside Greenville. In 1990 she served as a seasonal employee at Arlington House (the home of Robert E. Lee in the middle of Arlington National Cemetery) both as a costumed interpreter in a hoop skirt and as a member of the curatorial staff—a fancy way of saying that she helped clean the historic house. For three summers in the mid-‘90s, she cataloged archaeological artifacts at Fort Union Trading Post National Historic Site on the border of North Dakota and Montana, for which she won an NPS Special Achievement award. At the end of the decade, she and I organized the library of Homestead National Monument in southeastern Nebraska. In 1992 the three of us investigated, for a truckers’ guide, services available off interstate exits from Wisconsin to California; and we spent our free time visiting many of America’s most spectacular national parks. Besides enjoying the hiking and sightseeing, Rachel took pleasure in making new friends in other parts of the country. She never expressed an interest in visiting other countries or even revisiting Europe; but she would have liked to continue in other parts of the United States the sorts of experiences we enjoyed in the ‘90s. Meanwhile, back at Bob Jones, the prediction that an increasing number of PhDs would force Rachel back into teaching freshman-level English came to pass in 1987. For the remainder of her career she taught two sections each semester of En 103: Composition and Literature, the third and final segment of the BJU English requirement. Although she enjoyed teaching literature more than language basics, she never complained about moving to a more departmentally standardized course in which she had less creative wiggle room. She genuinely enjoyed watching beginning students improve their writing skills and begin to see significance in the assigned readings. I did have to be considerate when students turned in their themes. Family activities were often planned around these bursts of grading. Rachel would set up shop in the dining room and stack multiple piles of themes around an extra lamp brought in for the occasion. She had more patience with her poorer students than I would have, especially those who were persistent in beating a path to her office door. I sometimes wondered if she had spent more time soul searching about grading their papers than they had spent writing them. Although by the end of the 1990s Rachel had taught for more than thirty years and had developed, like all experienced teachers, a repertoire of appropriate classroom demeanors, remnants of her childhood shyness and insecurity remained. She hated the first day of class, regularly imagining new students being disappointed when they discovered that she was the teacher. Student evaluations were another bugbear. She read them with great reluctance. Often she had me look at them first. I confess to having thrown out a few truly vicious ones before they reached her; but her evaluations were always more than adequate even when she found it difficult to enjoy the praise or benefit from the criticism. She did enjoy (and save in a file folder) the personal thank you notes that perhaps a student or two would send at the end of each semester. Despite her quiet demeanor in the classroom, Rachel believed strongly in the value of female modesty and was a tiger in her attempts to enforce the University’s dress policies. The Dean of Women considered her an important ally. I quickly learned that if Rachel suddenly stopped a young lady on campus, it was best for me to keep walking, face straight ahead. Because she needed less preparation time to teach the same course each semester, Rachel was able to give more attention to her new hobby, genealogy. As was typical, she became indefatigable in the search, using the resources of libraries, census records, and the internet to fill notebooks (and eventually plastic tubs) with information about her ancestors and the collateral branches of her family tree. When we visited new areas of the country, we often checked out cemeteries and small town libraries. Rachel did rub a few tombstones, but she spent much more time writing inquiry letters, copies of which eventually found their way into their own notebooks and tubs. Rachel likewise took pains to keep in touch with her living relatives. She always remembered her siblings’ birthdays and anniversaries (sometimes a few days late); and in pre-internet years, she frequently wrote letters to her brothers and sisters even if they didn’t respond right away. After her sisters had reared their children, Rachel grew even closer to them, and she tried to visit Illinois-Wisconsin at least once a year. Throughout her teaching career Rachel was an engaged reader. Somewhat surprisingly, she preferred biographies to fiction. Although she would never have considered herself a feminist, she was especially attracted to biographies of women such as Abigail Adams and Zora Neale Hurston who pressed beyond archetypal female roles for their eras. Rachel selected books by walking library aisles and carrying off perhaps a half dozen prospects from the look of their bindings and the sound of their titles. It looked like she was literally judging books by their covers. Actually she sorted the catch at home, choosing the one or two books she would actually read. First excluded were any that were “too dark,” especially those that emphasized intra-familial discord. Rachel was also a systematic Bible reader, for several decades reading it through every year. I bought her a “One-Year Bible” in the New American Standard translation, and she wore it out. As a couple we were more than usually compatible. We were BJU graduates with virtually identical religious beliefs. We voted Republican but found politics of minimal interest.9 Our notions about parenting were congruent if not always sound. We enjoyed roughly the same entertainments: day hiking, museum going, listening to classical music, and watching such PBS programs as Nature and Antiques Roadshow. More than I, Rachel enjoyed crossword puzzles and other games of word play, as well as BJU recitals and drama performances. Often while I enjoyed solitude at home, she attended concerts and plays in the company of my mother and her sister Lois, both of whom lived in Greenville. Rachel and I had no arguments about money; in fact, we rarely discussed it. We never had a budget. Rachel kept the checkbooks, and I handled the savings. I never questioned her purchases; she never questioned mine. What might have been a financial disaster for many couples worked perfectly for us, perhaps because we had both apprenticed in the school of frugality. She was a coupon-clipping micro-saver, while I squirreled away part of our paychecks nearly every month. We also agreed that Austin had exhibited excellent judgment in choosing his school friends and that we were partial to all the girls he had dated. Like Austin, we were especially attracted to Melita McMasters, whom he married in December 1999. Their courtship was relatively brief, and Rachel was certainly aware of the suddenly empty nest, though she was more than content that Austin had married so happily. After the wedding, the two of us spent more time together at our cottage in the Smokies, and Rachel visited relatives and continued her genealogical investigations as I worked additional summers in Nebraska and traveled to other places for professional reasons. 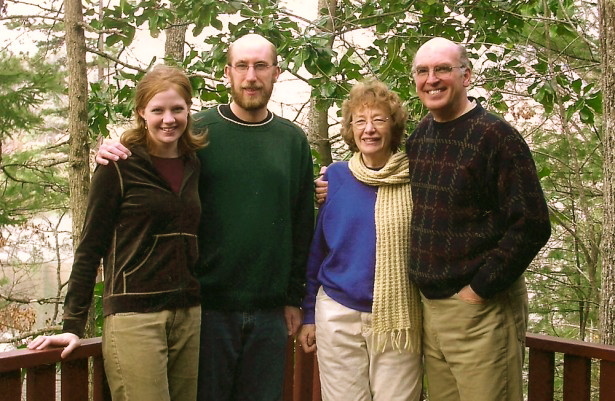 In November 2002, the discovery that Rachel had cancer caught us completely by surprise. Rachel had always been conspicuously healthy and health conscious; in fact, she was healthier than all of her siblings. She walked everywhere on campus, regularly bemused at faculty members who drove a half mile to their offices or to the Dining Common. She did floor exercises six days a week with a TV exercise lady. She often discretely suggested that I was eating too much (I was).10 She could keep pace with me on any hike. In thirty years she had missed only one teaching day due to illness. In response to abdominal pain, Rachel quickly moved up the medical specialty ladder, where the news got worse the higher she went. In just the two weeks before Thanksgiving, Rachel went from being unusually healthy for her 59 years to having an aggressive uterine cancer with a grave prognosis. The oncologist was unwilling even to consider surgery unless the tumor could first be reduced through radiation and chemotherapy. In December 2002, daily radiation was supplemented by weekly chemotherapy. In January she was hospitalized for three days with an implant so radioactive that visitors had to stand six feet away from her bed. Immediately thereafter, she could barely walk; she lost so much weight it was uncomfortable for her to sit in a wooden chair. Nevertheless, after several weeks of recuperation, Rachel underwent surgery followed by six once-a-week, all-day chemotherapy treatments during which—the first of four occasions—she lost her hair. When friends asked how she was doing, Rachel often simply said that she was taking things one day at a time. To her that meant having a realistic understanding of her illness while treating it as if it were simply an impediment to completing her everyday tasks. It meant renewing her magazine subscriptions (Reminisce and Birds and Blooms) years in advance because multi-year subscriptions were cheaper while at the same time persistently organizing and describing the family photos and heirlooms while she still had the opportunity. 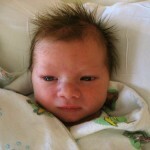 The birth of two grandchildren, Sam (June 8, 2006) and Maggie (December 17, 2007), gave her immense pleasure. 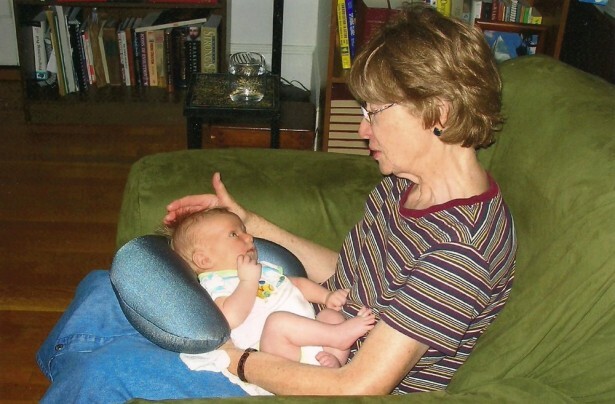 She said she had been “thrilled and elated” when she first heard that she would be a grandmother. In fact, Rachel developed a serious case of “grandma-itis.” She designed and made quilts for both babies, and she filled a closet with used toys and clothes acquired at thrift shops. Her greatest regret was that the children lived so far away. For much of those final years only a doctor would have known that she had cancer. In 2004 we visited friends and national parks in the Southwest and took a seven-mile hike to the top of Table Rock, a local landmark. Rachel also enjoyed helping with our church’s Vacation Bible School. Later, when true hiking became more difficult, we took Saturday afternoon walks in downtown Greenville or around Furman lake. The brain surgery was completely successful. Two days later she was adding up grade totals in her hospital bed. By the end of the week she attended an organ recital; by the end of May we took a two-mile hike. But when Rachel was forced to abandon chemotherapy to accommodate brain surgery, the cancer ravaged the rest of her body. Following a CT scan on June 29, we were told to go straight to the emergency room. She walked in without assistance, but after discharge, she was too frail to ever walk again on her own. On July 14, Rachel was simultaneously admitted to the campus infirmary and to hospice care. Though confined to bed, Rachel retained her good humor and regularly expressed gratitude for the nursing care. Although sometimes confused during the early morning or late evening, her mind always seemed focused when she had visitors, whom she remained to the end genuinely delighted to see. I never detected any fear of death, although she cried when she realized how it would hurt Austin and me. As late as early June, Rachel and I were still making plans to visit Austin and Melita after the birth of their third child in July. Rachel had bought the materials for the quilt she would make for our second grandson. Benjamin Eliot Matzko was born in the early hours of July 26, and Austin relayed the first pictures so that I could show them to Rachel on my laptop. Before leaving the hospital that night, I pulled up the pictures once more, and Rachel stared intently into that new but familiar-looking face. A few hours later she lapsed into unconsciousness, although she had a couple brief snatches of lucidity, breathing out “Love you.” Those were her last words. She died Tuesday morning, July 28. During the last week I often read passages from the Bible to her. Several times she asked for a certain psalm by chapter number—obviously the wrong psalm because she remained dissatisfied with what I had read. I read a lot of good psalms trying to find the one she was looking for. Finally she remembered some key words, and I was able to use my concordance. The verse she wanted was Psalm 73: 26: “My flesh and my heart faileth: but God is the strength of my heart and my portion for ever.” That was the verse, she reminded me, that she had taken into surgery six years before. She did not need to say what we both understood, that she was now claiming that verse for the ultimate trial. A few days later, I ordered the verse cast on her grave marker. We once returned from a vacation to discover our leather shoes covered in green mold. Twenty years later, the University discovered that the foundation of the building was cracked; the building was leveled and never replaced.